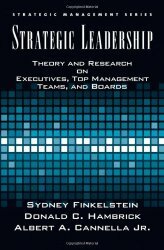 Sydney Finkelstein’s approach to leadership and strategy focuses on the strengths and weaknesses of executive talent. His widely read research analyzes how capable leaders make bad decisions and, ultimately, fail. Sydney Finkelstein is the Steven Roth Professor of Management, and Associate Dean for Executive Education, at the Tuck School of Business at Dartmouth College, where he teaches courses on Leadership and Strategy. He is the Faculty Director of the flagship Tuck Executive Program. Professor Finkelstein is a recognized thought leader on leadership, strategy, and corporate governance, and is listed in the “World’s Top 25 Leadership Gurus.” Sydney is listed in the Thinkers50 2017, the world's top ranking of management gurus. Professor Finkelstein has published 19 books with several bestsellers. His newest book is Superbosses: How Exceptional Leaders Master the Flow of Talent. After ten years of research and studying an incredibly diverse group of leaders such as restaurateur Alice Waters, fashion iconoclast Ralph Lauren, Oracle founder Larry Ellison, Sydney finds they all have one thing in common — they are legendary for spawning legions of protégés who have gone on to transform entire industries. Via stories and analysis, Superbosses describes what they do, and how they do it. His other books, include the #1 bestseller in the U.S. and Japan, Why Smart Executives Fail. Based on a six-year study of 51 companies and 200 interviews of business leaders, the book identifies the fundamental reasons why major mistakes happen, points out the early warning signals that are critical for investors and managers alike, and offers ideas on how organizations can develop a capability of learning from corporate mistakes. 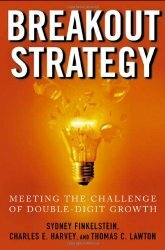 On Fortune Magazine’s list of Best Business Books, the Wall Street Journal called it “a marvel – a jargon-free business book based on serious research that offers genuine insights with clarity and sometimes even wit … It should be required reading not just for executives but for investors as well.” It has been translated into 11 different languages. 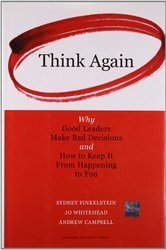 In his follow-up book, Think Again: Why Good Leaders Make Bad Decisions and How to Keep it From Happening to You, he turned his attention to such major strategic decisions as the war in Iraq, Hurricane Katrina, and numerous business cases to explain why decision-makers sometimes think they’re right when they are really wrong. The book takes up recent research in neuroscience, cognitive psychology, and management to not only document why things go wrong, but also to offer a series of solutions that reduce our vulnerability to falling into the traps that lead to bad decisions. Professor Finkelstein is a Fellow of the Academy of Management, and has had three books nominated for the Academy of Management’s Terry Book Award, the most prestigious such honor in the field. His other awards include Finalist for the Academy of Management Executive Best Paper Award (2004), the McKinsey & Company Strategic Management Society Best Conference Paper Prize Honorable Mention (2002), the Best Paper Award from the Academy of Management Executive for his article “Leveraging Intellect” (1997), two Citations of Excellence from ANBAR, the world’s leading guide to management journal literature (1997 & 1998), the Cenafoni Prize for research in Entrepreneurial Strategy (1991), and finalist for the A.T. Kearney award for the best research in strategic management (1988). He holds degrees from Concordia University and the London School of Economics, as well as a Ph.D. from Columbia University in strategic management. He is well known for his keynote speeches and television appearances, and is a columnist for the BBC. Syd tailors each presentation to the needs of his audience and is not limited to the topics we have listed below. These are subjects that have proven valuable to customers in the past and are meant only to suggest his range and interests. Please ask us about any subject that interests you; we are sure that we can accommodate you. Larry Ellison. Lorne Michaels. Ralph Lauren. Robert Noyce. George Lucas. Miles Davis. And a dozen others. Business leaders and creative icons with tremendous track records who all have something else in common: they helped develop the best talent in their industries, who in turn helped them become the legendary successes they are today. 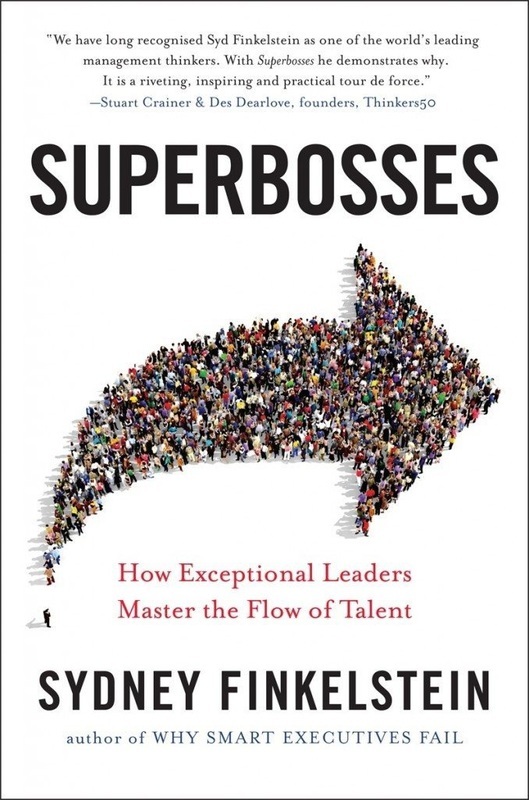 Based on ten years of research and hundreds of interviews, Superbosses describes what these exceptional leaders did, and how they did it. In his keynote, Sydney will describe the “superboss playbook”, the key management practices that separate the best bosses from the merely good ones, and the pathway to becoming a better leader yourself. LinkedIn Chairman Reid Hoffman calls it “a leadership guide for the Networked Age,” while Jeff Immelt, Chairman and CEO of GE, says “Superbosses gives leaders a playbook to bring out the best in their people." One of the most remarkable findings from Why Smart Executives Fail is that the underlying reasons for failure in many business breakdowns. In this speech, Sydney identifies four destructive syndromes, and outlines a series of steps companies can take to avoid them. There's a scenario that keeps repeating itself in today's business climate. A company is voted one of the most admired in the world. Three or four years later, it's in dire financial trouble, in the midst of a disastrous merger, or some other fiasco. What goes wrong in these cases? Just as puzzling as the fact that brilliant managers can make bad mistakes is that instead of rectifying their mistakes, business leaders regularly make them worse. Irrational strategies exist when key decision makers know exactly what is happening in their industries, among competitors, or in customer circles, yet they fail to respond. Instead, they often continue with the strategies of the past, or adopt even more inappropriate policies to address the challenges they faced. What are the different types of organization mindset failures that serve as guideposts for disaster? How can executives ensure that they don't fall into the same traps? This speech brings together a wealth of research evidence, and literally dozens of real-world examples, to demonstrate how irrational strategies emerge and how to fix them. Is it possible to pinpoint just what makes smart, previously successful people, go wrong? The answer is yes! Again and again, whether CEOs, senior executives, or mid-level managers, the same bad habits keep appearing in failing companies. In this speech, Sydney demonstrates how such apparently beneficial habits are actually destructive when left unchecked, and offers an alternative view of leadership that has applicability up and down the management hierarchy. Best CEOs of 2013. Click here. Worst CEOs of 2013. Click here. Professor Finkelstein has created a new iTunes “album” with podcasts based on his BBC column “Syd Weighs In.” As he describes the podcasts, “With a guest host, we go beyond the column and have a good chat about the issues. The most recent one uses the Sochi Olympics as a springboard for a discussion on what competition is and what “type” of competitive mindset is actually the most effective. My guest host in this instance is a former member of the US Olympic ski team.” Access here. Secrets of the Superbosse​When you look at the top people in a given industry, you often find that many of them once worked for the same well-known leader. In the NFL, 20 of 32 head coaches trained under Bill Walsh or someone in his coaching tree. Dozens of top hedge fund managers got their start under Julian Robertson of Tiger Management. Nine of Larry Ellison’s top execs became CEOs, COOs, or chairs of other companies. The list goes on: Jay Chiat, Alice Waters, Bob Noyce, Lorne Michaels, and Mary Kay Ash are all known for grooming extraordinary people who became leaders in their fields. 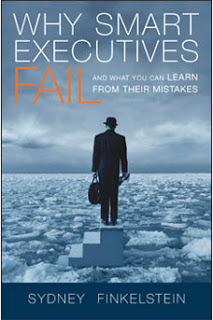 Why Smart Executives Fail explores corporate mistakes—what they are, why they occur, and what managers, leaders, and investors can do about them. This book integrates and assesses the vast and rapidly growing literature on strategic leadership, which is the study of top executives and their effects on organizations. The basic premise is that in order to understand why organizations do the things they do, or perform the way they do, we need to deeply comprehend the people at the top-- their experiences, abilities, values, social connections, aspirations, and other human features. Breakout Strategy offers a clear, actionable, set of ideas that give managers all the tools they need to move toward the sweet spots that exist in every industry. 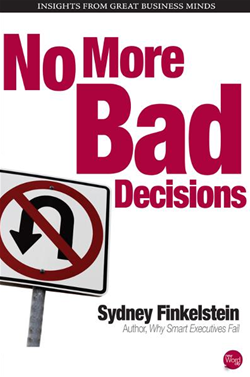 Sydney Finkelstein and co-authors Jo Whitehead and Andrew Campbell turn their attention to such major strategic decisions as the war in Iraq, Hurricane Katrina, and numerous business cases to explain why decision-makers sometimes think they're right when they are really wrong.